Angola plans to open four new diamond mines within the next year, reports Bloomberg via Mineweb. Endiama EP, which is the African country's state-run diamond company, said in an interview last week that two alluvial mines would begin output this year. Additionally, two kimberlite mines would start late this year or early in 2014. For 2013, Endiama forecasts production at around 8.3 million carats, valued at $1.16 billion. The country is renewing its mining efforts since Anglo American's De Beers predicted an increase in diamond prices this year as global outputs continue to be restrained. The two new alluvial mines will join three similar projects that will restart this year after having been halted in 2008 due to declining diamond prices and the overall economic slowdown. 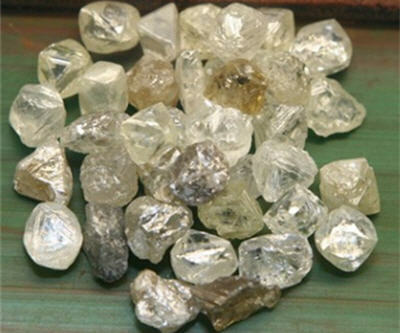 Angola is the fifth largest producer of diamonds in the world.